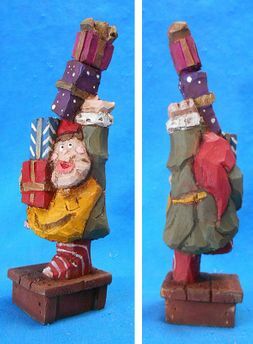 This collectible Christmas elf is more than enough to excite virtually any avid Santa, elf, or Christmas art collector. Meticulously hand sculpted and painted in rich vibrant colors that show the spirit of the season- FUN! Measures: 2" x 2" x 6.5"h- from Basswood.